While most cats adjust to the Litter-Robot without much coaxing, others might need a little help making the switch. Use these tried-and-true methods to overcome common barriers and facilitate the transition. 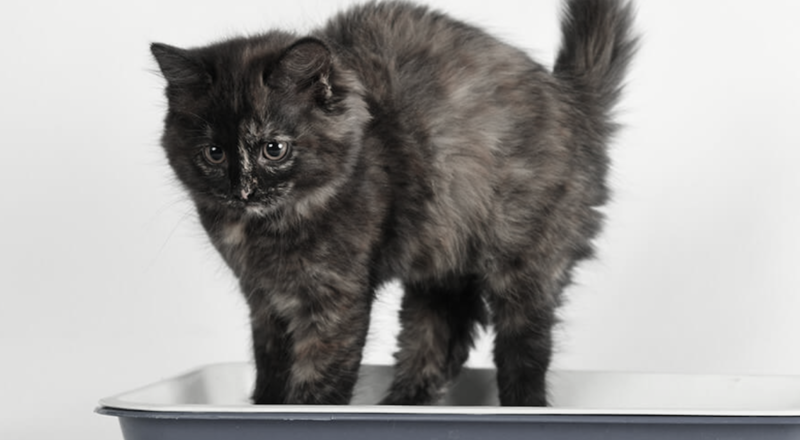 Avoid startling your cat while it is adjusting to the new litter box. Leave the Litter-Robot switched off until you notice your cat has used the Litter-Robot. Wait about 7 minutes for the waste to clump, then turn it on. The Litter-Robot will automatically perform a cleaning cycle (lasting about 2 ½ minutes), then switch it off again. Continue this “semi-automatic” mode until your cat is comfortable and using it regularly. 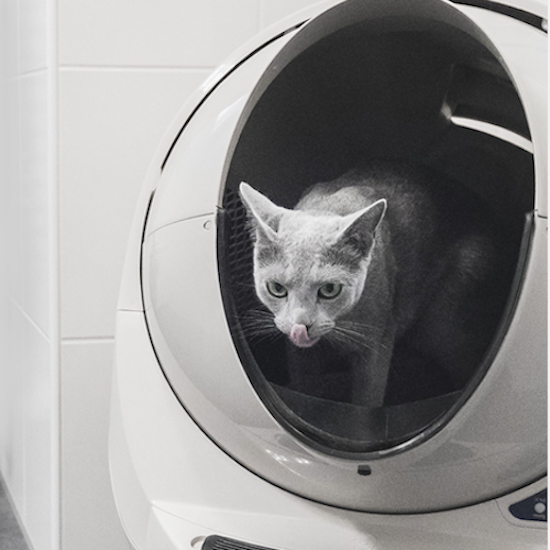 This is a good trick if your cat has expressed some fear about entering the Litter-Robot. Place treats or catnip on the step and inside the globe. It may take several repetitions to get results, so be patient and consistent. Create a positive experience by offering praise and reassurance. We find this method is especially effective for those cats who are food-motivated. If your cat seems stuck in his ways, we don’t advise the “cold turkey” litter box switch. When you suddenly switch out the Litter-Robot for the old litter box, you’re likely to have protest puddles and an unhappy cat. 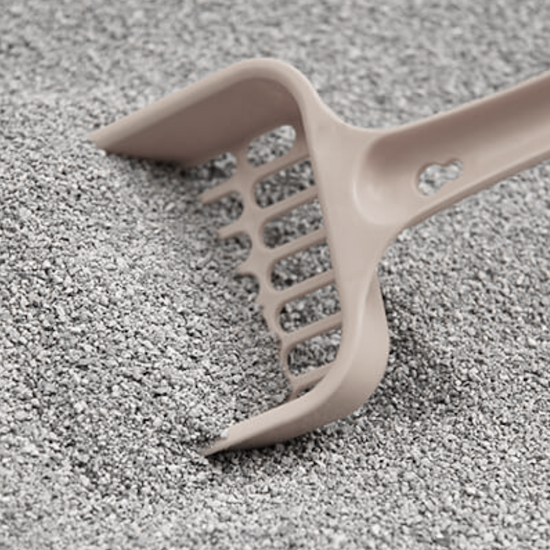 Instead, gradually make the old litter box less desirable by letting waste accumulate. 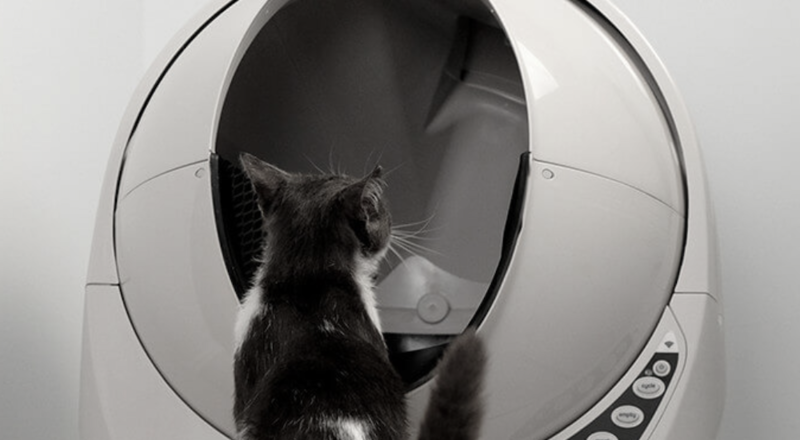 Cats prefer a clean place to go, so this should motivate your cat to try the Litter-Robot. This works well in combination with the treats and catnip method mentioned above. 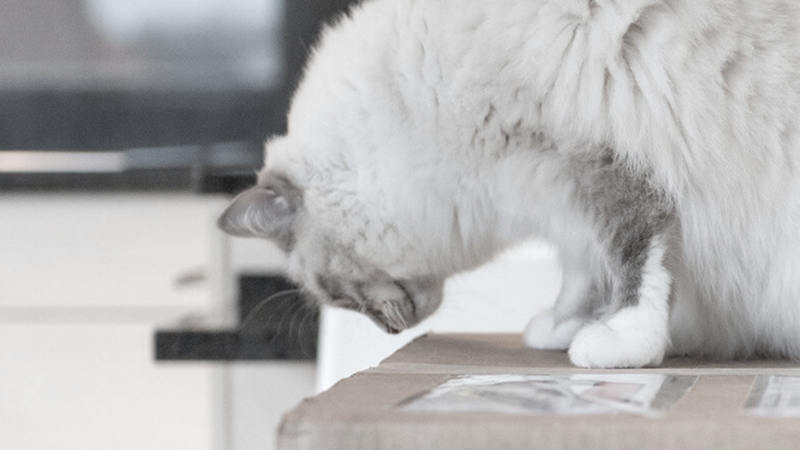 The old litter box looks and smells familiar, so use that knowledge to teach your cat about the Litter-Robot. Gradually move the old litter box closer to the Litter-Robot (if you’ve placed them in different locations). Then, pour a scoop of the old litter on the new litter in the Litter-Robot, which will smell familiar to your cat. We recommend the bait-and-switch approach mentioned above, eventually removing the old litter box when it is soiled. Cats love empty cardboard boxes! Try covering the Litter-Robot with the original cardboard box. Carefully cut an opening in the side of the box for the entryway and a notch in the bottom to access to the drawer. Leave the Litter-Robot unplugged while covered with the box. Don’t worry, you won’t have to scoop! Once you notice your cat has used the Litter-Robot, wait about 7 minutes for the waste to clump, then plug it in. The Litter-Robot will automatically perform a cleaning cycle (lasting about 2 ½ minutes), then unplug it again.